Things are constantly changing in the world; this includes the world of conflict and conflict resolution. Young mediators have started to enter the field, some studying dispute resolution at undergraduate and graduate levels, some coming from backgrounds in social work, psychology, applied human sciences, communication and nursing (see How to Become a Mediator in 11 Steps). Some have interdisciplinary backgrounds, bridging mediation training with other fields, such as law. Many new mediators might not opt for a law degree, and may simply get some training in relevant areas of law through continuing education. The clients in mediation are also changing. GenX and GenY mediation clients have been raised with technology, and now use this in how they create and solve problems, how they interact with one another, how they act as consumers in the world and what they expect from professionals (such as mediators). (please see the UN Report). This is also the case for GenZ clients, who might be members of peer mediation processes or sit with parents within family mediation processes. Take 1 minute to increase your search engine rating with Mediate2go! Get a free trial, create a profile and get more clients! Mediators from this generation are also different. GenX and GenY mediators are re-defining what is considered best practice in dispute resolution. 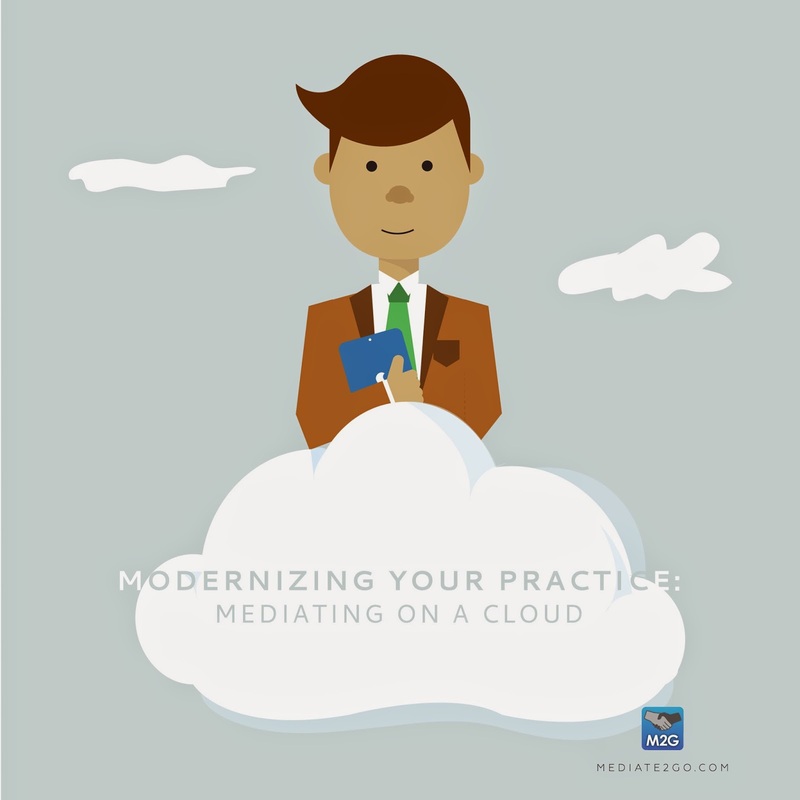 They use technology to build and maintain their practice, to connect and retain clients, and ensure credibility through offering customer relationship excellence with cloud-basedcase management. They adapt their processes to meet client needs and expectations. There is no longer a monopoly on mediation practice, and now, lawyers do not have the only right to act as third party neutrals. Mediators from GenX and GenY have a new way of working. No longer do they walk into the mediation room with a bulky briefcase of documents and promote themselves through the newspaper - they walk into the mediation room with their tablet or iPad, and promote themselves successfully through social media. See our blog on how to use our cloud based case manager. Some mediators and their clients no longer use email (let alone the phone), some only communicate on FaceTime, Skype, Twitter and Facebook, etc. 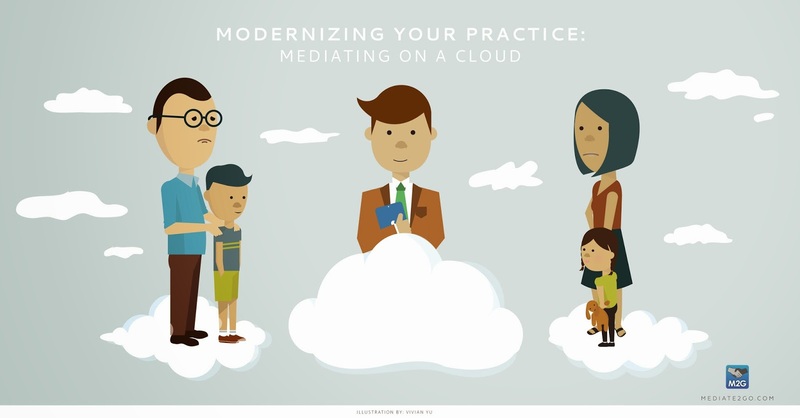 These mediators have already adapted to the marketplace and know that their current and future client base is already in the cloud. These cloud mediators know that consumers will not just pay high prices for mediation because someone has a law degree. They would rather opt for an affordable mediator with a great reputation and credibility - which isn’t based on the letters at the end of your name. GenZ, which according to some is the “conflict generation” due to having been raised during various world conflicts, is also known as the generation of digital natives. They have been raised with technology, and know not a world without it (see Wiki). 1. Diversity is normal: This generation was raised in an extremely diverse environment. These generations expect others to respect diversity in all areas of service, even if they do not themselves do not belong to a particular group. This respect and comfort with diversity is likely to spread to technology. Often portrayed as egocentric, GenY’ers were validated and empowered when they were raised, and expect safety and security. This generation is characterized as being natural at “networking, multiprocessing and [being] global-minded” (UN Report). 1. Instant Service: GenY members want things right now, so online dispute resolution offers a quick solution. If you’re not there as a service provider when they want it, they will move on. If you are asked as a mediator to provide a document, they want it right away. They want their copy of the settlement agreement immediately, etc. Luckily, this is possible with Mediate2go.com. 2. Online Platforms: They are reliant on the internet, using everything from “Webinars, Instant Messaging, Blogs, Podcasts, Avatars, Youtube”, Instagram, Pinterest, Flickr, etc. These are the new normal in terms of reaching out and maintaining client relationships. Mediators must use these mediums. Some conflicts are created through these services, so an understanding of them through experience is a new form of credibility that will be expected. 3. Online Learning: Learning can come in any format, including blogs, etc. 4. Client Focused: Client and mediator focus orientation is Email, Instant messaging and Text, so clients expect this mode of communication. 6. Relationship Focus: Mediation clients are motivated by relationships, sometimes of which are all social media based, which means that mediators should be skilled at making and maintaining online relationships. See our blog on the definition of trust and building trust. 7. Empowerment: GenY clients especially are looking for empowerment, so self-mediation and learning about conflict resolution is what they want. They want to be empowered to resolve their own conflicts. 8. Always Online: Mediators and clients use web and networks 24/7, so they expect quick replies and access to information at any time. 9. Collaborative: This generation having blogged and played multi-player video games is all about collaboration. They expect this in receiving services, and collaborating with other mediators. 1. Technology Motivates: Primarily on email and mobile 24/7 but new technology can be extremely motivating for them, so mediators should, at a minimum, be comfortable with email, and better, use secure messaging to protect a client’s privacy. 3. Design Savvy: Already sensitive to design and graphics, so a nice web interface is key. They are more likely to understand that clients also expect a nice interface, so they know that they must have a great web presence, similar to the design of Mediate2go. Boomers “live to work”, and have a strict worth ethic, expecting others to have the same (UN Report). This generation was also raised when the nuclear family was the norm, so new types of families and ways of living were not so common. As a result, they may be somewhat uncomfortable with client requests coming in at all hours of the day, and new arrangements of living together. Overall, here are some trends for this generation. 2. Not Raised on Tech: Assume that others see technology the way that they do, that it’s hard to navigate - they underestimate how technology is natural to some other generations, possibly being resistant to technology. 1. Face-to-face is best: stuck with face to face contact only, and are less likely to use E-mail/IM/Text due to their discomfort with change. Although many are now open to new technology. Use the Mediate2go online ADR directory! It's the most affordable, yet most powerful tool for mediators and anyone with conflict! Get a free trial, create a profile and get more clients!